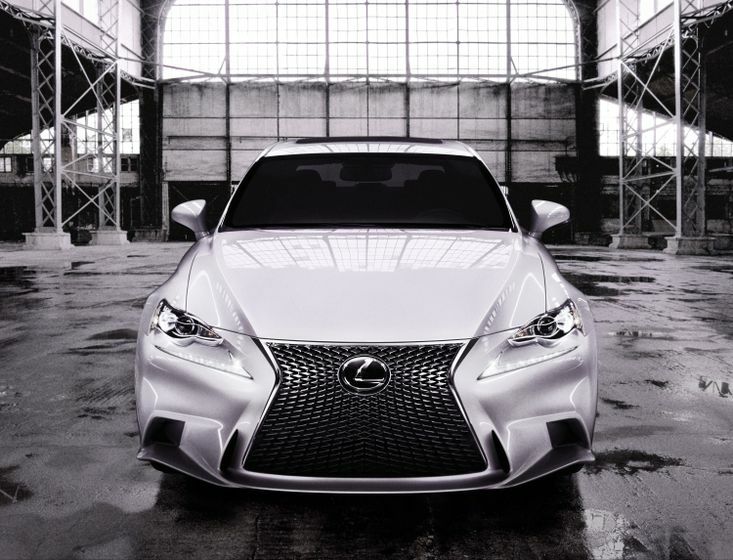 (TORONTO, ON – January 9, 2013) The all-new Lexus IS will make its world debut at the Detroit Motor Show on January 15th 2013. A press conference will be held in the Cobo Center at 9:30am, and live webcast streaming of the event will be available at www.lexus.ca. The all-new IS model range will include IS 250, IS 350 and F SPORT model across the full range. 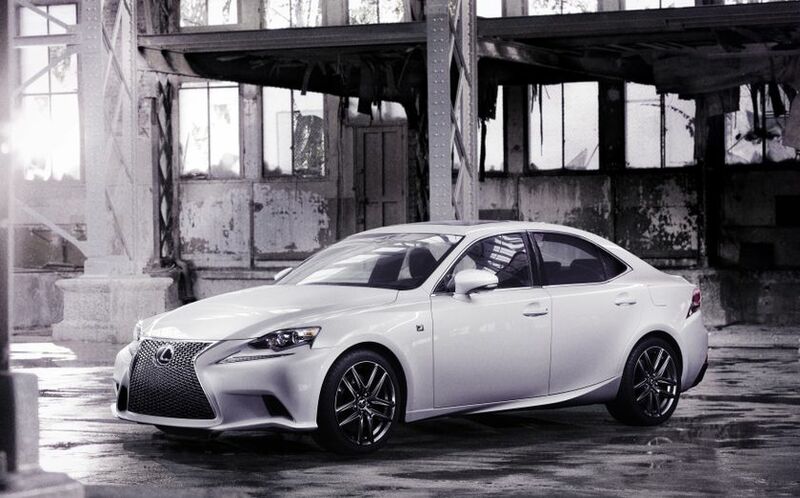 Today Lexus released photos of the all new IS 250/350 F SPORT in advance of next week’s World Premiere. The all-new IS features the new Lexus spindle grille frontal design, awarding the compact sedan a combination of aggressive elegance, a more powerful road presence and a stronger brand identity. The tight, sporting proportions of the body are formed by powerful character lines generated by the shape of the spindle grille which passes through the base of the A-pillars then tightens up at it flows toward the rear. They clearly delineate the body from the cabin, and this emphasises the wide flare of the wheel arches to give the new IS a broad, powerful stance. In profile, the strong horizontal beltline shows off larger rear tires and a lowered centre of gravity. The mass of the cabin itself concentrated rearwards, visually applying weight to the rear tires to enhance the perception of traction. A rising crease line flowing from the lower body, through the rear wheel arch and into the rear lamp clusters adds the sweeping elegance to the sedan’s sporting profile. 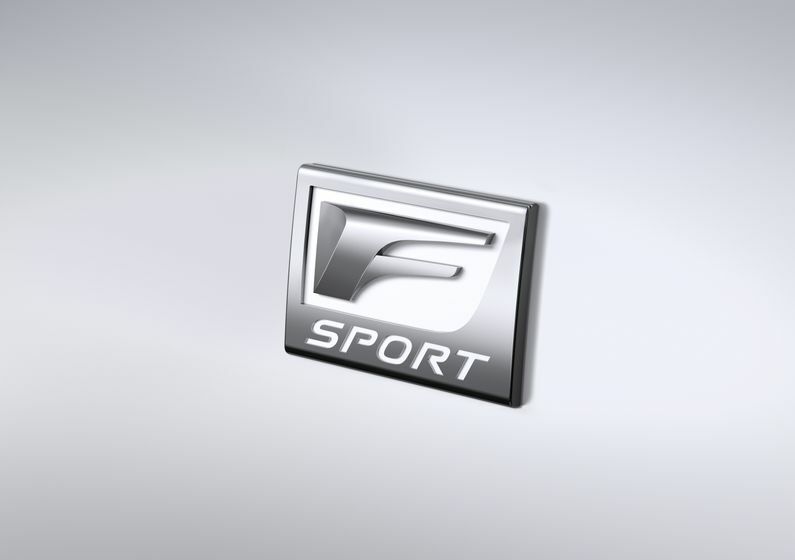 F SPORT models are instantly recognised by an exclusive grille and front bumper design. The ‘waistline’ of the grille is higher than on standard models, increasing the area of the lower grille to make it capable of drawing in a larger volume of cooling air appropriate to a sporting performance. F SPORT models are available in a choice of six exterior colours of which one, White Nova, has been developed exclusively to reflect the pure, sporting nature of the marque, as represented by the LFA supercar. 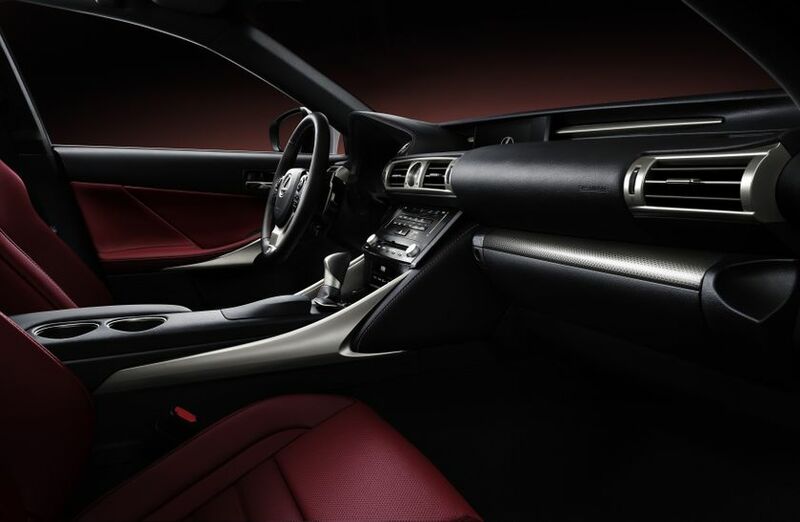 The new IS interior design creates a snug, focused, ergonomically ideal environment from within which the driver can fully exploit the new Lexus compact sedan’s superb driving dynamics. The new IS’s increased width and wheelbase length provide significantly increased levels of rear seat comfort and luggage capacity. The combination of extended wheelbase and a thinner front seat design generates best-in-class knee room and improved accessibility. And new, 60:40 split/folding seats, provide expansive luggage capacity. 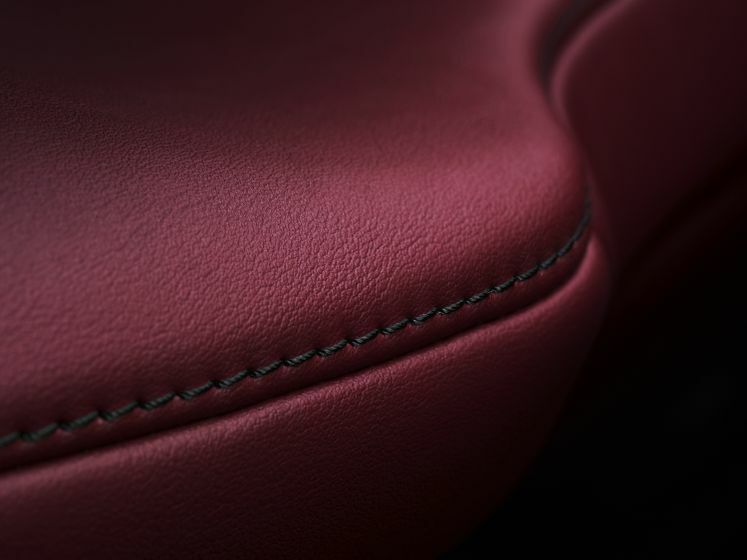 An exclusive, highly supportive F SPORT seat design uses an ‘integrated foaming’ construction method, ensuring that there are no gaps between seat upholstery and filling to combine excellent comfort with outstanding lateral holding performance. 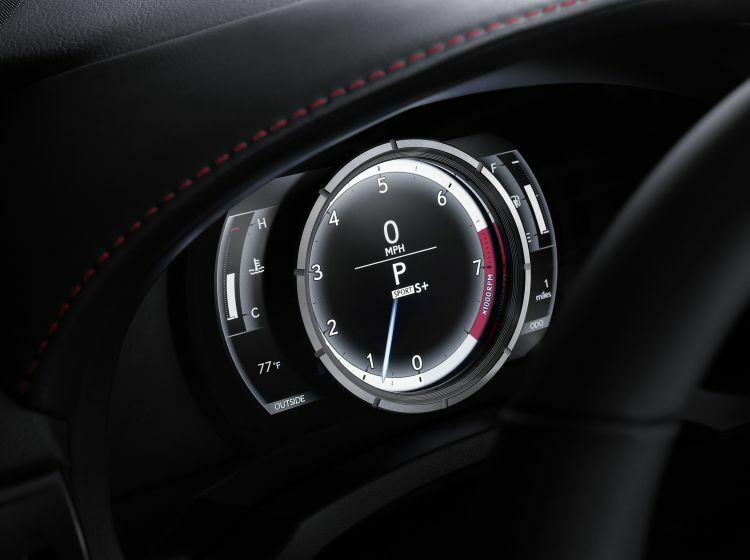 Both the seat hip point and the angle of the new, LFA-inspired steering wheel have been lowered and steering reach adjustment increased, creating a more sporty driving position. 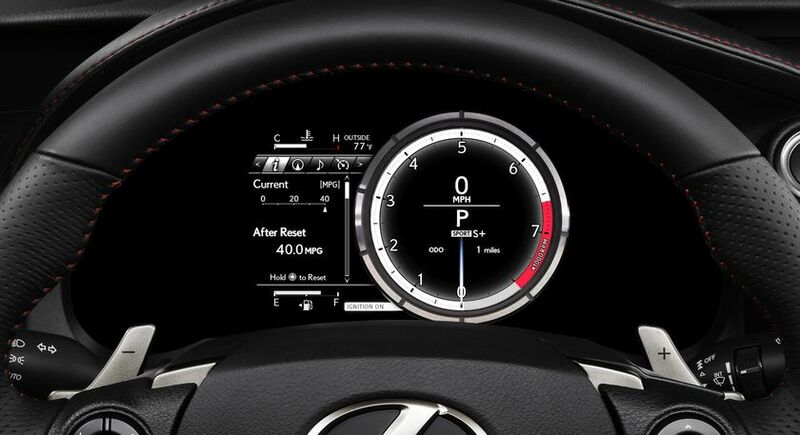 F SPORT models inherit the innovative driver’s meter with moving centre ring from the LFA. Bespoke F SPORT trim detailing includes a perforated leather finish to the steering wheel and shift knob, metal film 3-D-effect ornamentation, black seat stitching, and aluminium pedals and scuff plates. 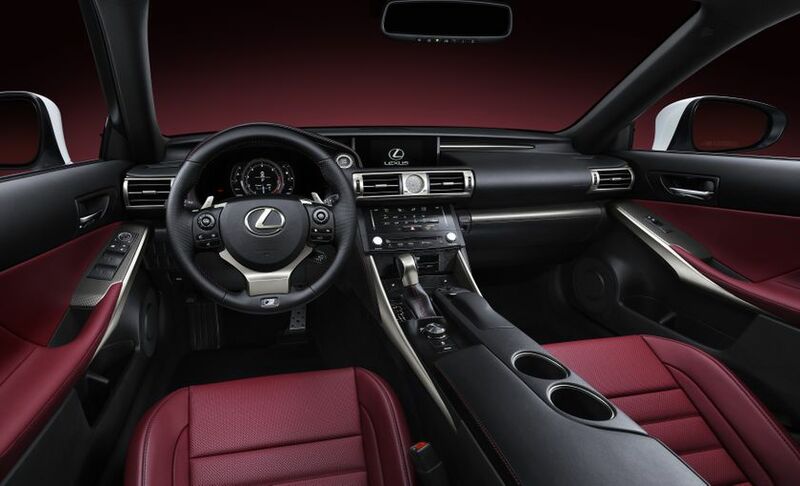 A choice of two F SPORT interior colour schemes includes a new Dark Rose finish which is exclusive to the marque.